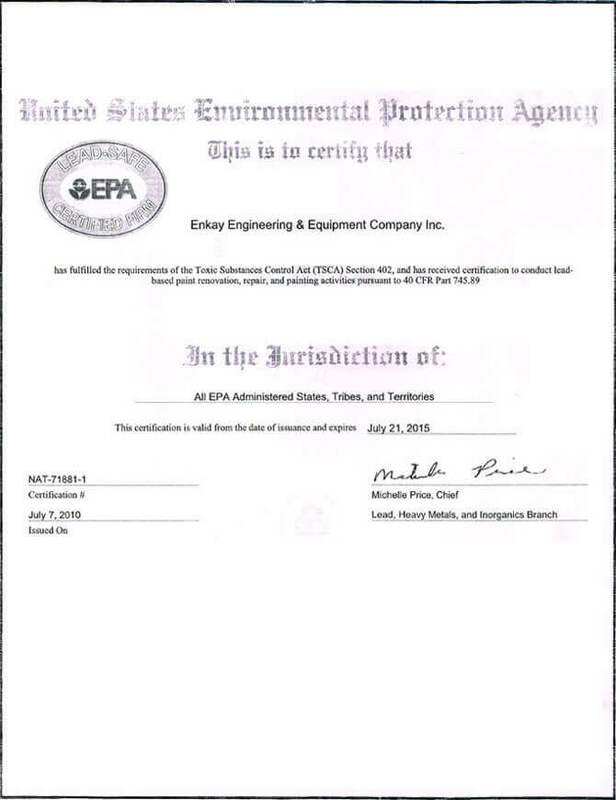 Enkay Engineering is one of the oldest and best-qualified environmental remediation firms in the state of California. We specialize in the safe removal of hazardous materials from commercial, residential, and government sites, and we're committed to protecting the environment and the safety of our clients. Our extensive training, certifications, expertise, and experience have made us one of the leading specialists in our field. Read on to find out more about our qualifications. 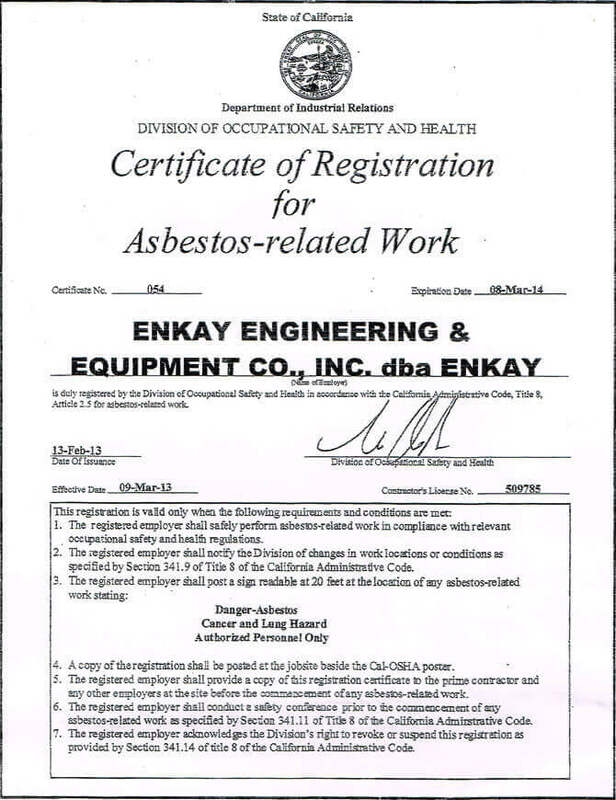 Enkay Engineering is certified by Cal/OSHA (the California Department of Industrial Relations division of Occupational Safety and Health). Our certification number is 54, meaning that our company was the 54th environmental contractor to receive certification in the entire state of California. Of the 53 companies that were certified before ours, only 5 are still in business, making us the 6th oldest certified asbestos contractor in the state. We are also Lead-Safe certified by the EPA, and all of our technicians are AHERA certified to perform environmental remediation services in public buildings. We have a long list of satisfied clients, including schools, small local businesses, national corporations with local offices, government agencies, and more. (See our Residential, Commercial, and Government pages to view our client lists.) Customer satisfaction and safety is our first priority, and we are proud to have earned so many satisfied clients; we believe it is a testament to our affordable rates, safe work, and reliable results.